OXFORD, Miss. 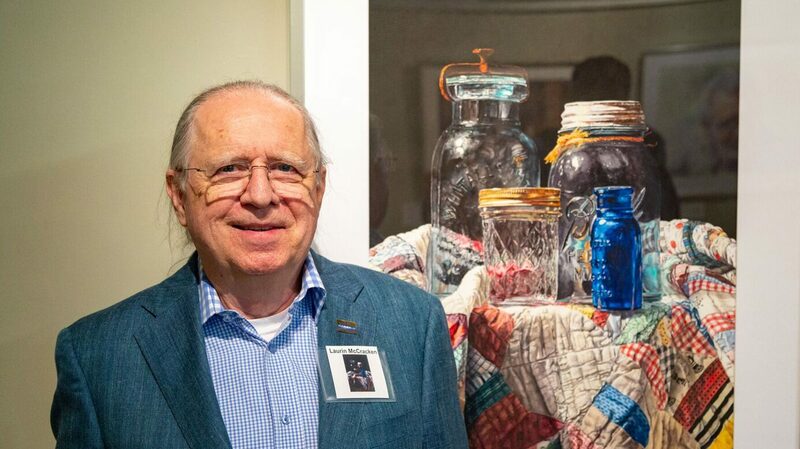 – Renowned watercolorist and Mississippi native Laurin McCracken will have his award-winning work on display at the University of Mississippi Museum beginning Jan. 22. 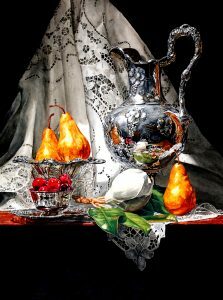 The exhibit, “Visual Abundance: Realism in Watercolor,” will showcase many of McCracken’s realistic watercolor paintings that are largely influenced by the Dutch and Flemish still life painters of the 16th and 17th centuries. The exhibit will be available through Aug. 3, and McCracken will make appearances on campus Jan. 31 for an opening reception and gallery walkthrough. He also has a planned return trip to Oxford March 20-23 to speak with Ole Miss art students about the business of art and marketing their work, a step-by-step watercolor presentation and an adult studio workshop. More information will be available at http://museum.olemiss.edu/ as it becomes available. “I hope to share with them (the students) some of the ways I’ve been able to be published, get in galleries and show my work,” McCracken said. “I’m very interested in talking with and relating with the art students at the university. McCracken said he is excited to visit the university and have his work appreciated. McCracken was born in Meridian and resides in Fort Worth, Texas. In his day job as an architect and head of marketing for large architectural and engineering firms, McCracken was able to travel and draw inspiration from paintings in various art museums around the globe. That inspiration led him to pick up a paintbrush at age 60. “What I thought was going to be a hobby has turned out to be a pretty fabulous second career,” he said. McCracken said the art that most captivated him were paintings that brought everyday items into a new light through still-life watercolor. In just 16 years of professional painting, McCracken has been published in many magazines and books focused on watercolors. His work has been featured in galleries across the United States and internationally. “It goes without saying, it’s never too late to indulge your artistic side,” McCracken said. “I never expected at this point in my life, at age 76, I would be flying all over the world to be in exhibitions. McCracken will share that message, along with some tricks of the trade required to make it as a professional artist when he visits campus. McCracken hopes his work will show artists the range of watercolor and its ability to be used in fine art, but most importantly, he just hopes guests enjoy his paintings. The opening reception and gallery walkthrough for McCracken’s exhibit will be 5:30-7:30 p.m. Jan. 31 at the UM Museum. Admission to the museum, as well as to the opening reception, is free. Museum hours are 10 a.m. to 6 p.m. Tuesday through Saturday. The museum is at the intersection of University Avenue and Fifth Street in Oxford. For more information, call 662-915-7073 or visit the museum’s website.